COCA is here for you with programs like Nicki's Circle Information and Support Groups, COCA Cares Financial Assistance, Comfort Kits and our one-of-a-kind Resource Guide. And more! 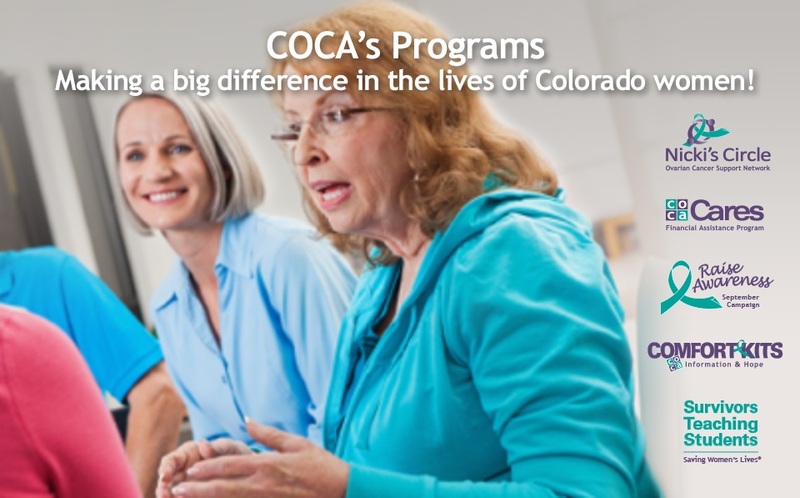 COCA's many programs assist women who have been diagnosed with ovarian cancer. 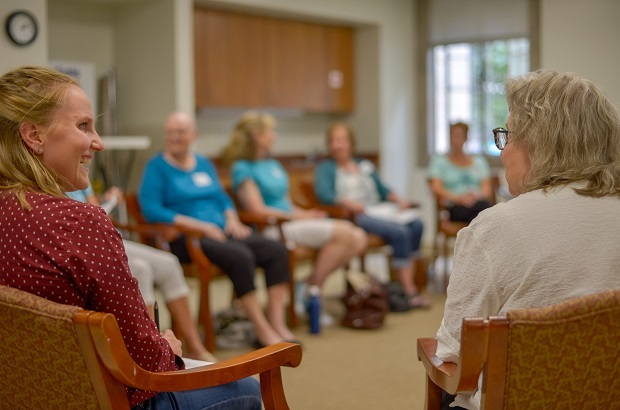 Nicki's Circle Support Groups, Comfort Kits for the newly diagnosed, Resource Guides, COCA Cares Financial Assistance, and our peer mentor program are designed to help women at any stage of their journey. Raise Awareness at HEALTH FAIRS in April! Help us Raise Awareness of ovarian cancer by volunteering at a 9HealthFair in April. 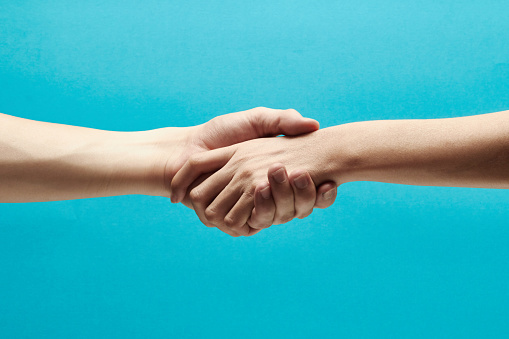 "I am deeply grateful for COCA and Nicki's Circle Support Groups. It gives me joy and hope to be a part of this community." YOU can make a BIG impact! 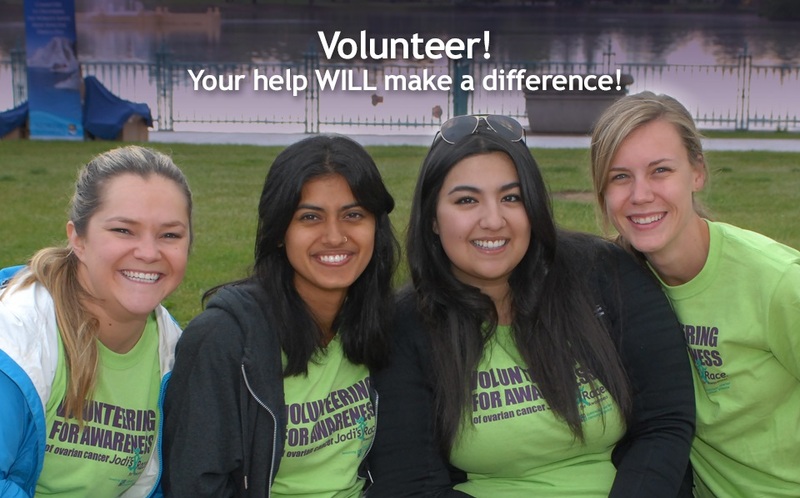 Whether you're interested in volunteering for a special event like Jodi's Race or our Teal Gala or want to tell your story to a medical student through our Survivors Teaching Students program, your time makes a tremendous impact and helps us achieve our mission. Help Us Drive Out Ovarian Cancer! 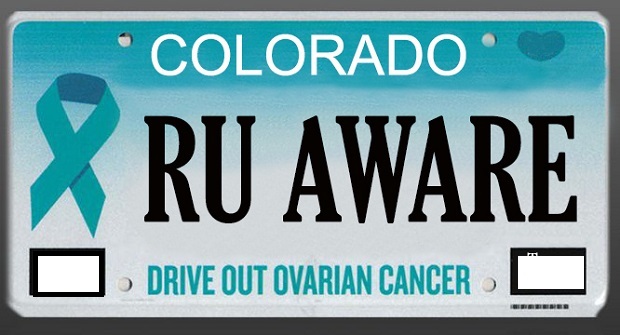 Colorado drivers, sign the Ovarian Cancer License Plate Petition TODAY and help us Raise Awareness! 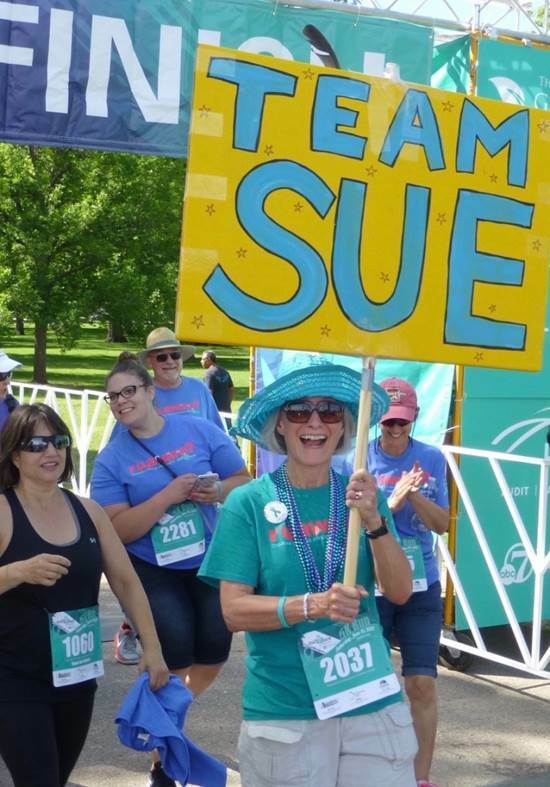 Join us as we celebrate the 10th Anniversary of Jodi's Race on Saturday, June 8, 2019 in Denver's City Park! Learn more, register, or volunteer now! Click on the license plate to sign the petition and help us drive out Ovarian Cancer! 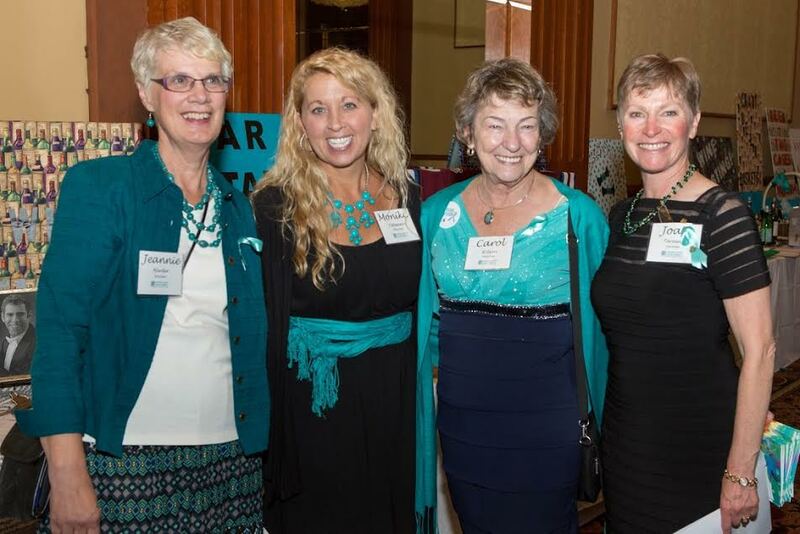 The mission of the Colorado Ovarian Cancer Alliance (COCA), is to provide support to those affected by ovarian cancer, and to promote awareness and early detection of ovarian cancer through advocacy and education. 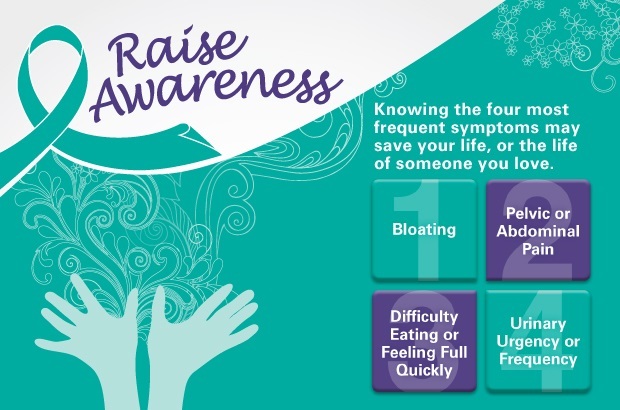 Our staff, board of directors, and volunteers work to increase awareness of symptoms and risk factors of ovarian cancer in the general population. We create and promote resources that provide support, encourage networking, and provide information to women diagnosed with ovarian cancer. COCA unites and educates individuals, the medical community, and organizations to overcome ovarian cancer. Our organization also advances ovarian cancer research toward a better treatment, diagnosis and an eventual cure for the disease. COCA was established in June 2005 as a 501(c)(3) nonprofit corporation. Our Board of Directors includes community leaders as well as ovarian cancer survivors, friends and family of women who are survivors or who have lost their battles with this disease. We are grateful to Cancer League of Colorado for a grant in support of out COCA Cares Financial Assistance program. The first step to ovarian cancer awareness and detection is knowledge. Ovarian cancer is a growth of abnormal malignant cells that begins in the ovaries (women’s reproductive glands that produce eggs or ova). Cancer that spreads to the ovaries but originates at another site is not considered ovarian cancer. Ovarian tumors can be benign (noncancerous) or malignant (cancerous). Although abnormal, cells of benign tumors do not metastasize (spread to other parts of the body). Malignant cancer cells in the ovaries can metastasize in two ways: directly to other organs in the pelvis and abdomen (the more common way), through the bloodstream or lymph nodes to other parts of the body. While the causes of ovarian cancer are unknown, some theories exist: Genetic errors may occur because of damage from the normal monthly release of an egg. Increased hormone levels before and during ovulation may also stimulate the growth of abnormal cells. 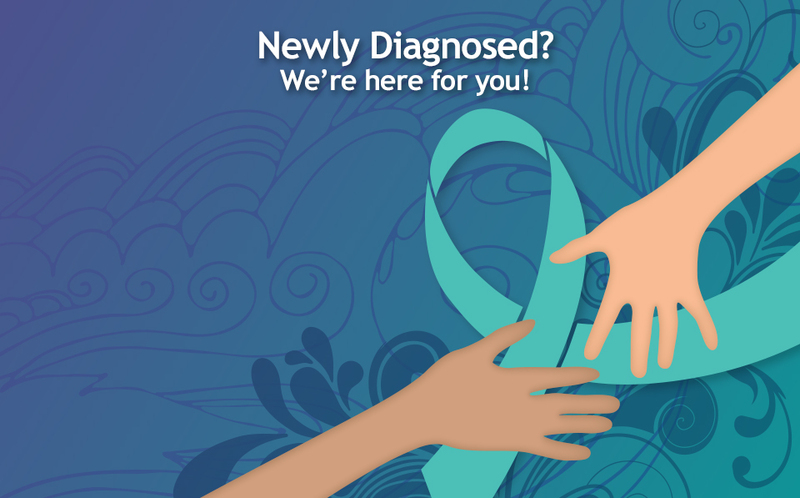 Since there is no screening test for ovarian cancer, knowledge is power.